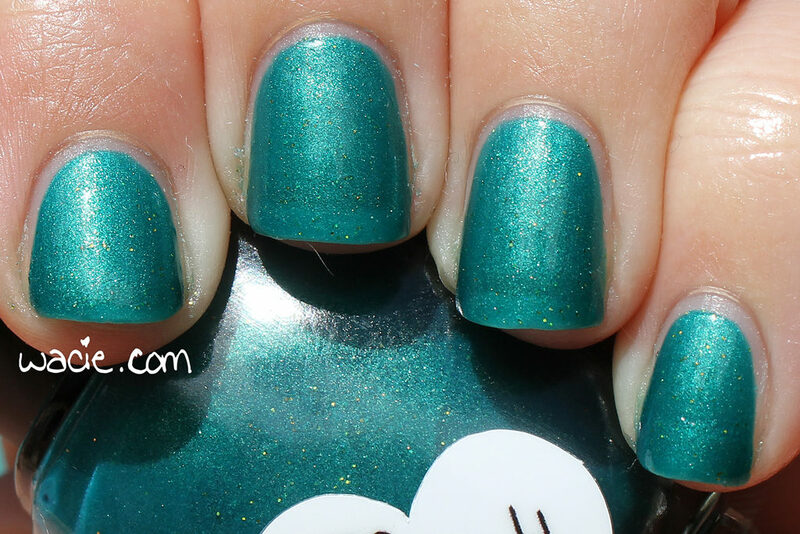 This entry was posted in Swatch Sunday, Swatches and tagged Creative Cuticles Nail Polish, green, indie, Ribbits Stickits, swatch. Great swatch! I love these kinds of colors. 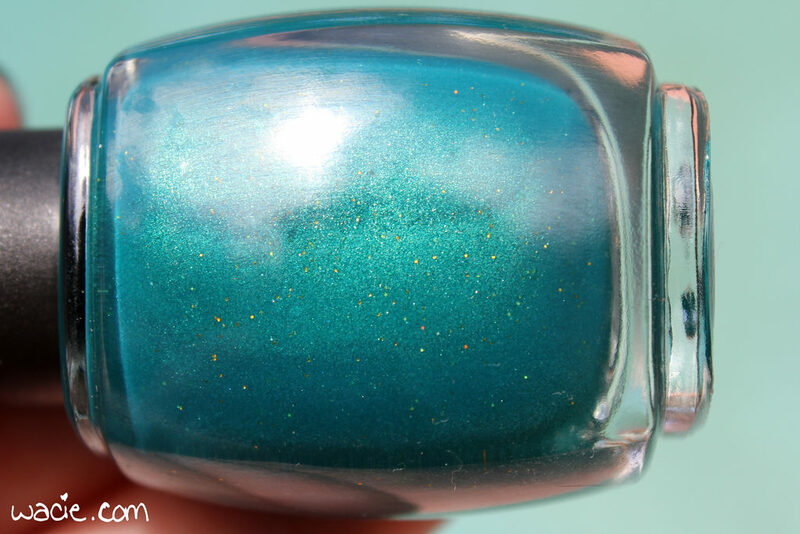 Fun shimmer! I’ve not tried this brand. I have this one too – it’s so pretty. The shade is so lovely and it looks amazing both glossy & matte. I love your sun shot it picks up those little gold glitters amazingly. I love the gold flecks up close, but I don’t think anyone would be able to see them from a normal distance. What a great green! The gold flecks are pretty up close. Perfect Summer vacation shade! I always love a good turquoise blue. What a perfect pedicure this shade would make. This is really pretty! I love the subtle pops of gold against the base shade! 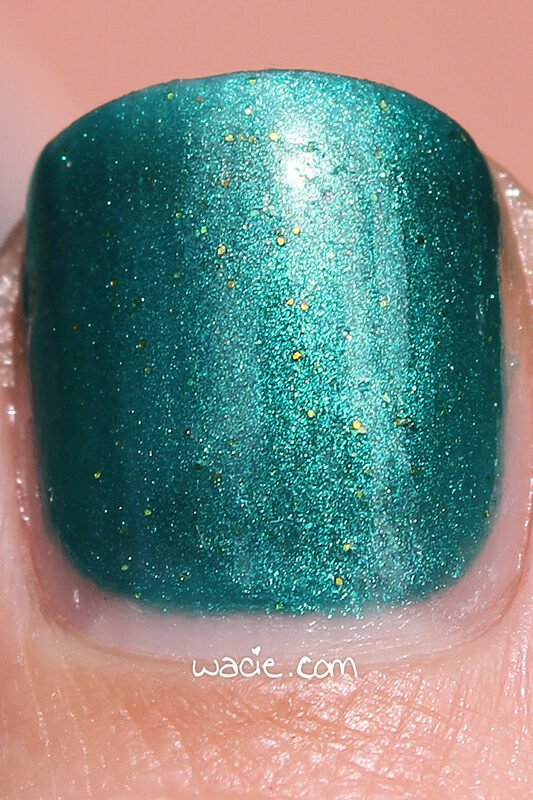 Beautiful swatch and polish, and I love the subtle gold shimmer.